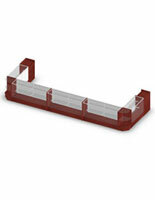 These merchandising counter configurations are great for any store because they can be used as checkout areas. 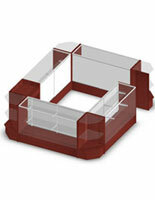 The cash wrap kits feature a full vision display that puts merchandise in the open while protecting them from theft. 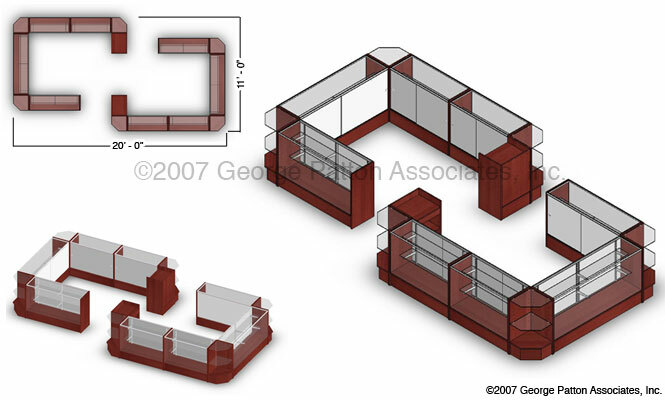 Each of the counter configurations is made of durable laminated particle board and tempered glass and they feature sliding locking doors. 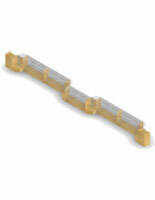 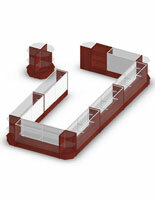 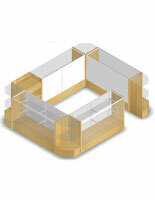 The checkout sets include fourteen pieces including cash wrap stands, checkout display cases and corner units. 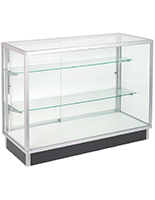 In addition, the configurations feature adjustable tempered glass shelves that can be used to showcase items of all sizes. 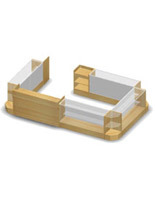 All parts of the sets are shipped fully assembled and only need to be placed next to each other. 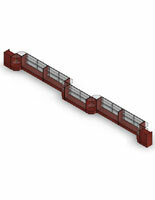 240.0" x 38.0" x 132.0"